Human Rights Watch and TRIAL International said that a paramilitary unit controlled by then-Gambian president Yahya Jammeh summarily executed more than 50 West African migrants in July 2005. The victims include Ghanaian, Nigerian, and other West African migrants. The two organisations, who are working with the Gambian Victims Center and other rights groups to bring Jammeh to justice, said his hit-squad, the Jungulers, carried out the killings on his orders 13 years ago. In 2008, a joint ECOWAS/United Nations investigation team said the migrants were killed by some rogue elements of Gambian security who acted on their own. However, HRW and TI’s “new evidence” suggest otherwise. “The West African migrants weren’t murdered by rogue elements, but by a paramilitary death squad taking orders from President Jammeh,” Reed Brody, counsel at Human Rights Watch said on Wednesday. Their allegation is based on interviews with 30 former Gambian officials, including 11 officers directly involved in the incident, Martin Kyere, the sole known Ghanaian survivor; the families of the disappeared; the families of a Gambian and a Ghanaian killed under Jammeh. The West African migrants, who were bound for Europe but were suspected of being mercenaries intent on overthrowing Jammeh, were murdered after having been detained by Jammeh’s closest deputies in the army, navy, and police forces, HRW said in a statement. It said its witnesses identified the “Junglers,” a notorious unit that took its orders directly from Jammeh, as those who carried out the killings. On Wednesday, HRW, TI, Gambian and Ghanaian human rights organizations called on the Ghanaian government to investigate the new evidence and potentially seek Jammeh’s extradition and prosecution in Ghana. HRW and TI said the migrants were divided into groups and handed over to the Junglers. 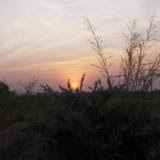 “Over one week, the Junglers summarily executed them near Banjul and along the Senegal-Gambia border near Jammeh’s hometown of Kanilai”, they said, adding their bodies were dumped into a well. 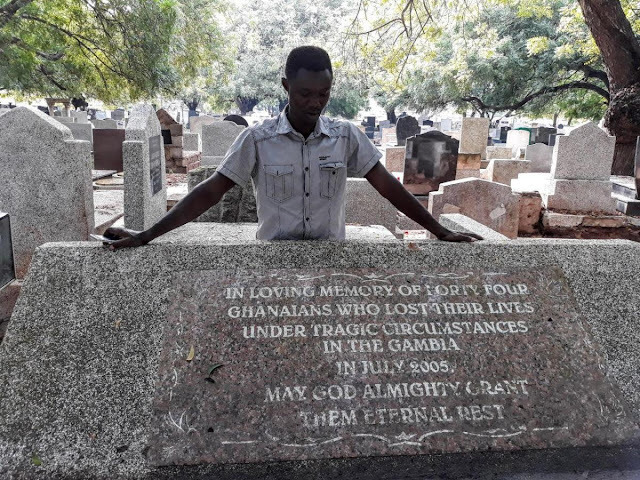 In 2009, Gambia and Ghana signed a Memorandum of Understanding acknowledging that the Gambian government was not complicit in the killings but would make contributions to the families as a humanitarian gesture. Jammeh said that the findings “vindicated” his government and paid US$500,000 in compensation to Ghana, which gave 10,000 Ghana cedis (roughly US$6,800 at 2009 rates) to each of the approximately 27 victim’s families. Six bodies were reportedly exhumed and returned to Ghana. “Our investigation has enabled us to get closer to the truth about this horrible massacre,” Benedict De Moerloose, head of Criminal Law and Investigations for TRIAL International said. Rights groups said Jammeh presided over 22-years of widespread abuses including forced disappearances, extrajudicial killings, and arbitrary detention. Mr. Jammeh has been living in Equatorial Guinea since January 2017 after losing the presidential election to Adama Barrow. They want Jammeh and others who bear the greatest responsibility for his government’s crimes prosecuted under international fair trial standards. While President Barrow suggests he would seek Jammeh’s extradition if his prosecution is recommended by the country’s Truth Reconciliation and Reparations Commission, Jammeh’s host President Teodoro Obiang said Jammeh has to be protected.